The modern and populated cities have all well-established refreshment centers which are a great way to keep the citizen fresh and free of worries! Beverage bars and pubs are also very common to find in modern cities where you can enjoy all your favorite liquors, cocktails, soft drinks and many other kinds of beverage you like so much! These bars and pubs serve as best refreshment center and people mostly tend to do to them at night to get relaxed after getting released from every boring routine task! If there are no such beverage points or drink corner in your home & garden or if you just want to do your own beverage pallet bar projects at your home then you can choose any from these 50+ DIY pallet bar ideas which are all to make you get with an instant bar or party station in our out of your home without getting a bit expensive! Whether you are to run a beverage or bar shop or your only intention is to entertain your guest or friends in ever best possible ways then an indoor or outdoor bar must be a part of your parties and other fun affairs! These custom bar designs having their own custom features and have been made to suit the given conditions and targeted areas best! 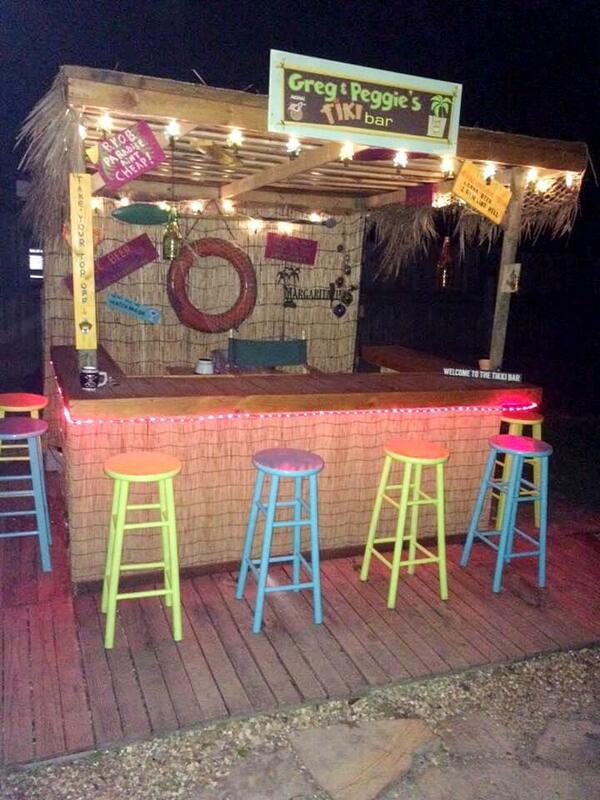 You may prefer a rustic bar, a bar with a roof, a lighted bar and also a custom painted bar here as there are 50+ pallet projects and bar ideas have been showcased here which are all a big gift to beverage and party lovers! Build the custom bars with pallets with your shop name logos and do make them appear in well matching and contrasting colors to enchant the customers! Use ceramic tiles to install accent countertops to pallet bards which would attract a big number of onlookers also! You may even choose the lighted bards with shelter, mini wooden bars with custom artistic edges may be in your priority list, here all have been given! You may even go with a patriotic version of pallet bards that comes with painted country flats or the bars painted in milk-and-honey theme hold your attention! There are tons of different pallet bar designs listed below to boggle your mind! Manufactured fully fledged versions of wooden bards are sure to cost you an arm and a legs but the pallets would be mind-blowing solution for shooting all the troubles, here is a fantastic handmade wooden version of bar that is all having a zero cost price and comes with a custom logo and painted over name letters, hence can be added to any bar shop! Pallets can even be treated with colorful ceramic tiles for beautiful and functional wooden bar outputs, here 2 pallet boards stands on a flat wooden bottom vertically and has a combined wooden top accentuated with ceramic tiles for a stunning bar counter! 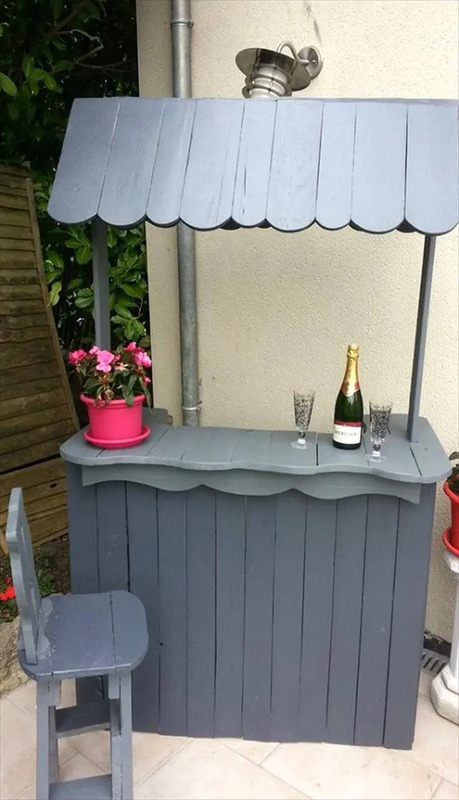 This is what you need to add to your porch, poolside or to a patio area, a fantastic grey painted wooden bar made of pallets and having all fancy and artistic round edges and boundary lines! Also having a chevron shelter having perfectly round edges also! 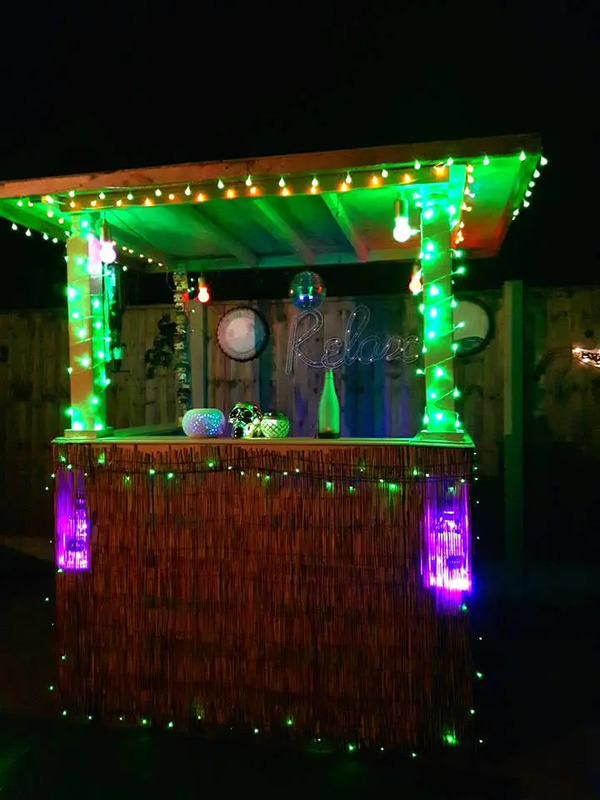 A perfect bar shop has been installed here with pallets and woven straw mats, having also a roof installed with pallets slats and there are colorful lights which makes it a big pleasure to view at night also! There are custom pallet made art signs and symbols and also some old materials used as perfect accents to enhance the visual of the bar! Willing to chill up in your garden with a bunch of friends and also with beverage mugs in hands? Have this pallet-made bar and matching stools set in your garden to enjoy the sweltering afternoon beverage parties there with friends and family members! 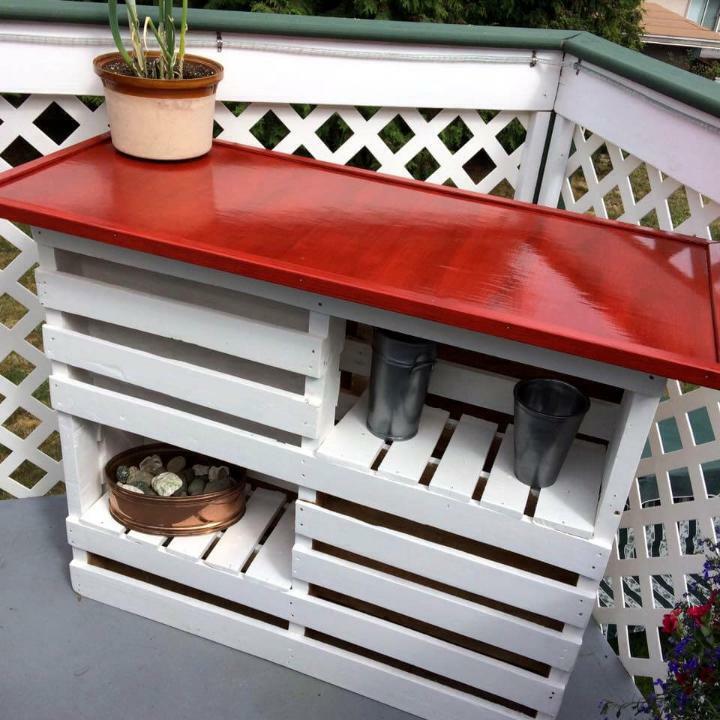 All has cleverly been built with pallets and painted in garden-friendly colors! 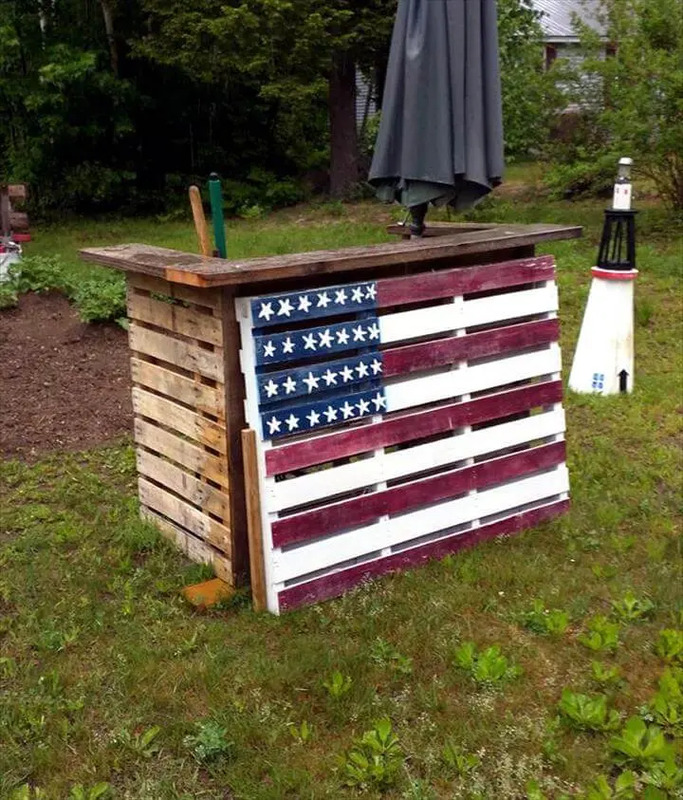 Grab this patriotic edition of pallet made bar having a American flag painted in front would really be commendable addition to your garden to express the country love along with having fun with cold beverage there! Need to get a perfect party space for your short spaced porch area? 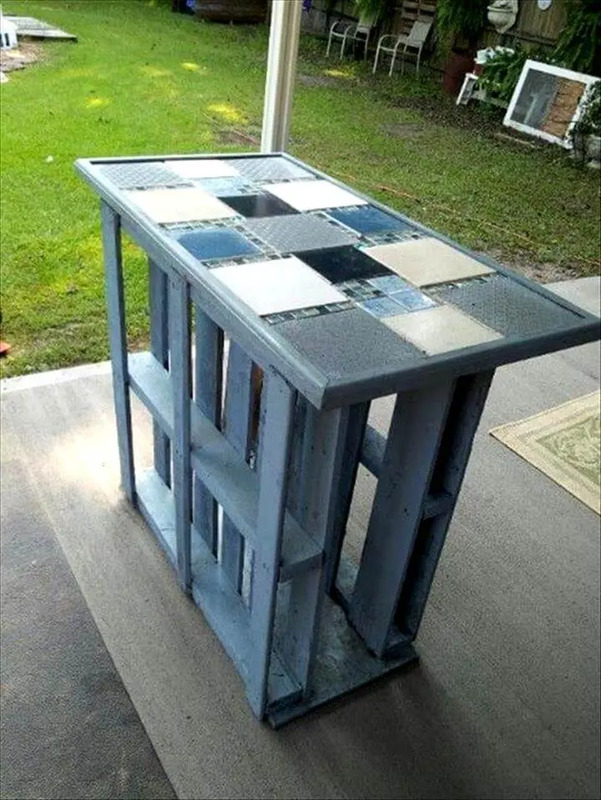 Here it has been perfectly solved with 2 pallet boards, stand vertically and comes with a concrete top, this gives a cool mini bar which can really turn your porch into a friendly party space! 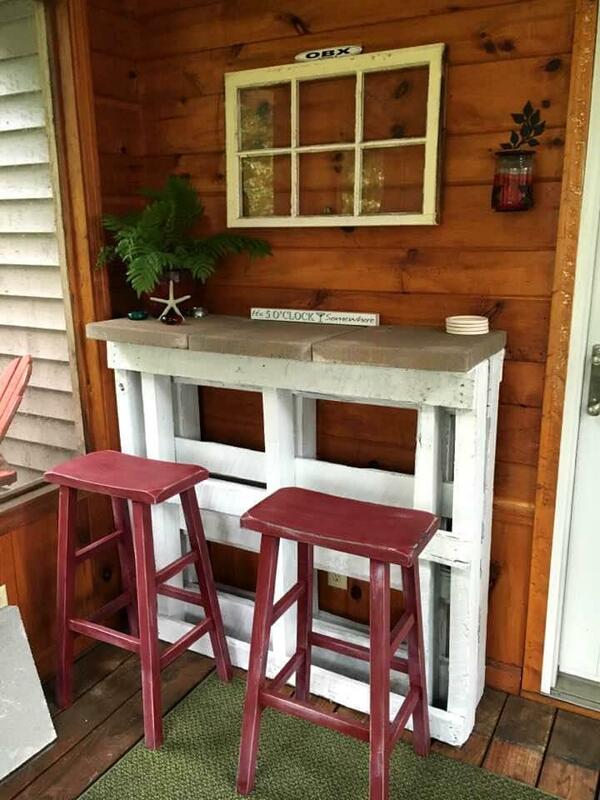 Clone this another fantastic version of pallet-made bar, it is all storage friendly due to custom storage pockets and is having a red painted top while base is painted in white, it gives an all plush red and white look to this handcrafted wooden bar table! Can be gained for terrace or balcony space beverage parties! 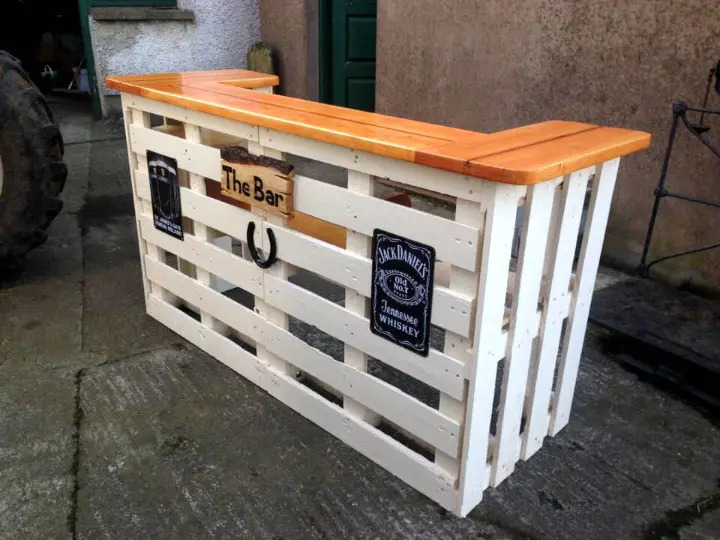 You may ask that how pallets can raise a fun of any home, this wooden bar is an all a comprehensive answer for it, this hand-built version can be added to your bar shop and can also be grabbed for an indoor bar installation! It has been personalized with custom signs and name plates and has a milk-and-honey visual theme! Here a lovely lighted self-installed design of outdoor bar, given a magnified antique look using woven straw sheets and the LED lights across the boundary lines and also twisted around the roof pillars really creates an eccentric but super charming look of it at night! It would be all you prefer first to get yourself relaxed after getting fatigued and tiered! And here also get a comfortable and free of cost seating from pallets so we have also shared these Top 104 Unique DIY Pallet Sofa Ideas for your home indoor and outdoor garden, patio and terrace areas.